I spend ridiculous amounts of time in the kitchen. I’m not complaining. In fact, I might be one of those freaks who actually finds cooking fun (cleanup, on the other hand…). One of the things I missed most about Colorado when I lived abroad was my kitchen. Coming home to it was like finding an old treasure chest. Sure, I’ve read more than my fair share of food and cooking blogs, but most of those “you’re peeling a banana wrong!” posts kind of fall in the same pile as Pinterest projects: nice to look at, but unlikely that I’ll remember them in the long run. Experience has been the name of the game for me. I’ve never considered cooking to be a chore, but I can understand why others find it tedious or difficult. Good cooking is usually the result of a lot of experience. And if you don’t have the patience or desire to gain experience, you may not find yourself any less likely to botch scrambled eggs than you were 5 years ago. If you want to become a better cook, I would first encourage you to spend more time in the kitchen. Start by following fun and simple recipes for things you’re excited to eat. If you’re a dessert fiend, find an easy recipe for brownies. 1. Don’t leave the kitchen while you’re cooking, unless you have a timer set. Bathroom breaks aside, leaving the kitchen without setting a timer is a surefire way to burn the sh** out of your food. I’ve done this so many times it’s embarrassing. I once charred a pot of steaming vegetables (apparently that’s possible). For some reason, the fact that you have food in the oven will instantly vanish from your memory the second you step out of the kitchen. I don’t care what you’re doing–walking the dog, answering a “quick” email, brushing your hair–you WILL get distracted and come back only when it’s too late. 2. Read your recipe all the way through before starting to cook. If it’s something you’ve made before and you don’t need a recipe, double-check to make sure you have enough of every ingredient before you begin. Getting halfway through making cookies and realizing you’re out of butter, sugar and vanilla=annoying your significant other with ANOTHER grocery store run=waiting even longer to have your cookies. Even worse, you may run out of time to make them at all. It takes 5 minutes max to make sure you have everything you need. Check it! 3. Set up your work station first. 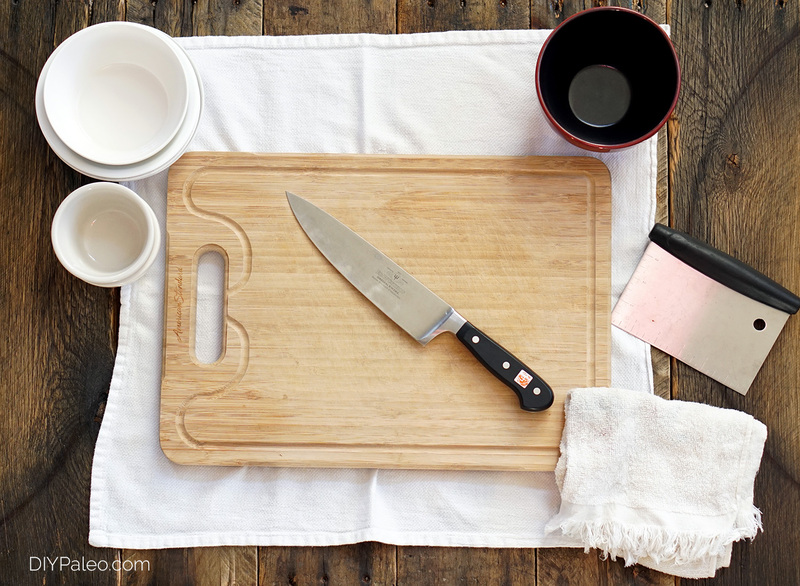 In Chef World, this is called mise en place–the French term for “put into place.” Spread a towel under your cutting board, get out your utensils and materials, and place a small bowl next to your cutting board for food scraps and trash. It’s also nice to have a few bowls handy to transfer prepped ingredients. Get your ingredients out and make sure you have enough space to work. It can be frustrating to pause and clear out the sink when your sweet potato noodles are ready to be rinsed. I know, it’s hard to be patient. But this is one of the most significant changes that made me be a better cook. I almost never cook on high heat, unless I’m searing meat. High heat risks burning the food, but it also risks undercooking. Cooking over low heat for a longer time, in general, yields much tastier and more evenly-cooked meals. That’s why crockpots are so amazing–they cook meat at a low temperature for several hours, allowing the flavors to meld together and the muscle tissue to break down and soften. Remember: low and slow is the way to go. 5. Use more herbs and salt (and lemon and garlic). Salt is not bad for you, contrary to mainstream nutrition’s condemnation of all sodium. Iodized table salt doesn’t offer much, but sea salt provides much-needed minerals. Adding small pinches of salt throughout the cooking process also brings up flavors. 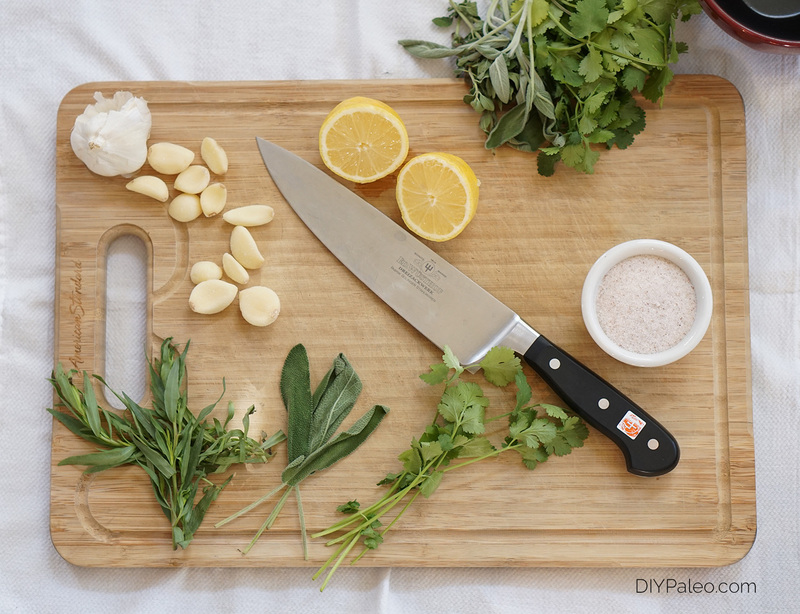 Lemon, garlic and salt comprise the perfect flavor trifecta for most savory dishes, so add liberally! As for herbs: I thought I would miss black pepper, spicy chilies and seed-based spices like cumin a lot more than I actually did while on the Autoimmune Protocol. That’s thanks to the use of fresh herbs like basil, cilantro and rosemary. I even tried a few new herbs like fresh marjoram and tarragon–both had surprising flavors, but I loved them and I use them all the time now! By the way: If you’re looking for a more thorough (but still easy) Cooking 101, I recommend Shelly Kark’s top-notch cooking DVDs, Kitchen Cue. They’re simple to follow, and they cover all the basics of good cooking–work station setup, meal composition and testing meat for doneness, to name a few. Each DVD walks you through a different cooking technique, and each one is absolutely worth your time and money. They’re not Paleo-specific, but they’ll help you develop a base of good practices.